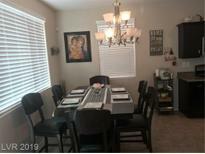 Below you can view all the homes for sale in the Wexford subdivision located in Las Vegas Nevada. 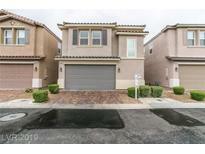 Listings in Wexford are updated daily from data we receive from the Las Vegas multiple listing service. To learn more about any of these homes or to receive custom notifications when a new property is listed for sale in Wexford, give us a call at 702-323-5986. Near park, quiet neighborhood You will not be disappointed! MLS#2088442. Elite Realty. Backyard Has Pavers. Come Check It Out! MLS#2086844. Robinson Realty & Management. Seller is currently moving but home is super easy to show. MLS#2087981. Coldwell Banker Premier. Master Bedroom with private Master Bathroom and Two nice sized secondary bedrooms all on the 2nd floor! MLS#2081935. Keller Williams Realty SW.
Upgrade floor formal dining room, chef's kitchen w/ granite, walk-in pantry, tile floors, bed and full bath down, laundry rm w/ sink & cabinets, huge master w/ jetted tub & walk-in closet. MLS#2080961. Realty ONE Group, Inc.
Not going to last long at this price! Come on home! MLS#2080475. Signature Real Estate Group. Community Features Multiple Green Areas, Pet Friendly And Low Monthly Fees. MLS#2080384. BDJ Realty, LLC. to be install great floor plan A Definite Must See. 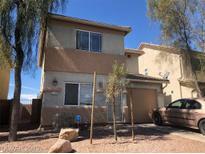 MLS#2079060. Palacios Realty. Highlights Include A Formal Living & Dining Room, Large Family Room With Wetbar, Two-way Fireplace, Island Kitchen W/ Nook, Double Ovens & Granite, Master Suite W/ Backyard Access, Walk-in Closet & Separate Tub & Shower, Big Secondary Bedrooms, Ceiling Fans, Custom Cabinets, State Of The Art Security Shutters & The Backyard Paradise Offers Rv Parking, Built-in Viking Bbq, Lap Pool, Spa, Lush Lawns MLS#2074213. BHHS Nevada Properties. Get Your Offer To Us Today! ! MLS#2073962. Nevada Desert Realty Inc. This Will Not Last At This Price/Location! Hurry!! ! MLS#2070699. Keller Williams Southern Nevada. This home is part of the Boulder Gardens II HOA. MLS#2054012. Opendoor Brokerage LLC. Freshly Painted Interior!! A Definite Must See! ! MLS#2040632. Realty Pros.